In a world full of SUVs, the minivan holds its own as a great option for car shoppers in search of a vehicle with great passenger space, a powerful driving experience and the latest high-tech features. The 2019 Toyota Sienna checks all these boxes and some. 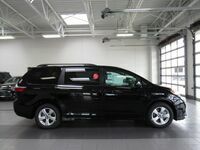 In fact, the Sienna is the only minivan on the market to offer all-wheel drive. 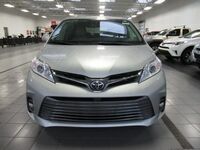 From tough midwestern winters to daily drives to and from family obligations, the 2019 Toyota Sienna has the power and capability to get you to where you need to be safely. But the Sienna isn’t the only option out there. The 2019 Honda Odyssey is another minivan on the U.S. market with a powerful V6 engine and a variety of standard safety features. But which model is a better value? Here’s a closer look at how the two compare. 150 cu.ft. Max. Luggage Volume 144.9 cu.ft. 3,500 lbs. Max. Trailer Weight 3,000 lbs. Explore the new 2019 Sienna with a test drive at Le Mieux & Son Toyota today! Where the 2019 Honda Odyssey shines is its spacious cabin and generous array of premium features. Even with its strengths, the Odyssey struggles to compete with the 2019 Toyota Sienna’s huge cabin and more powerful engine. Not only does the 2019 Toyota Sienna have more luggage volume, but it also has 500 lbs. more trailer weight. 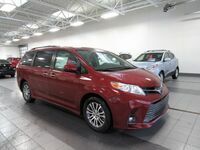 Inside the cabin, the 2019 Toyota Sienna boasts comfortable seats, an easy-to-navigate space and a variety of standard safety technologies. In fact, even the base L model is standard with the Toyota Safety Sense package, including forward collision warning with pedestrian detection, automatic emergency braking, lane departure warning and lane keeping assist, adaptive cruise control and automatic headlights. 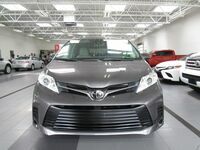 Best of all, this slick minivan is now in stock at Le Mieux & Son Toyota! We invite you to explore the new model for yourself with a test drive. Our award-winning team is here to answer any questions you might have and help you find the perfect vehicle for you. Stop by and see us!